In honor of the New Year I'm dedicating this post to making things new. 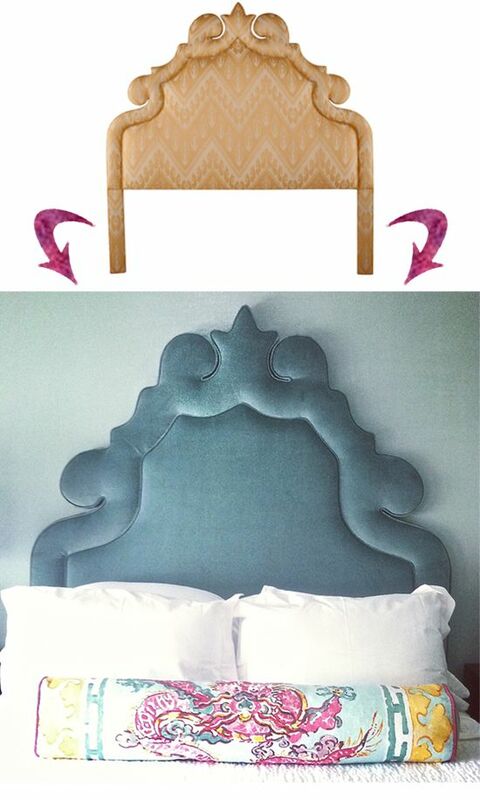 Whether it's reupholstering an outdated chair, refinishing a frame, or finding a new use for an old piece- it's the best way to add uniqueness to your home. I find it much more exciting than purchasing from a catalog. There are so many I want to share that I had to divide it up into 2 posts. So check back for Part 2. 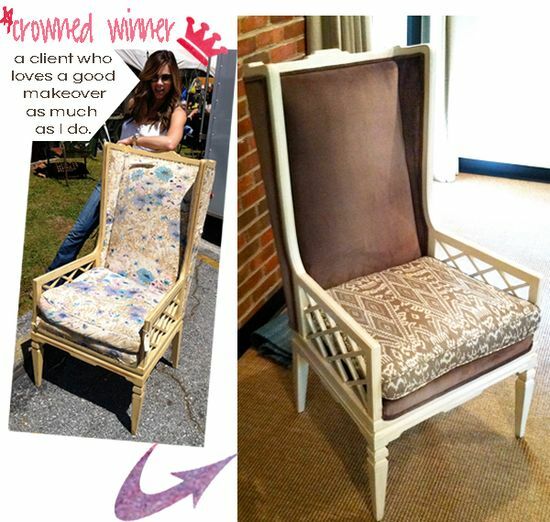 Hopefully this will inspire you to go in your attic, find that old grandma chair and look at it a little differently.Go and brush your shoulders off. Made New: reupholstered in Quadrille fabric: Henriot Floral, Lilacs on Ecru; contrast welt and arm pads in C&C Milano fabric; frame left unfinished. I have to say I love how this one turned out- so pretty in person. Same goes for baby. Mother responsible for intoxication may or may not be pictured above. Made Foolproof: We shipped the bolt of fabric to be treated at Nanotex before recovering the chair. We use this often for clients because it provides long lasting protection by resisting spills and stains on any fabric. Look into it if you have drunken elves or like to drink red wine. 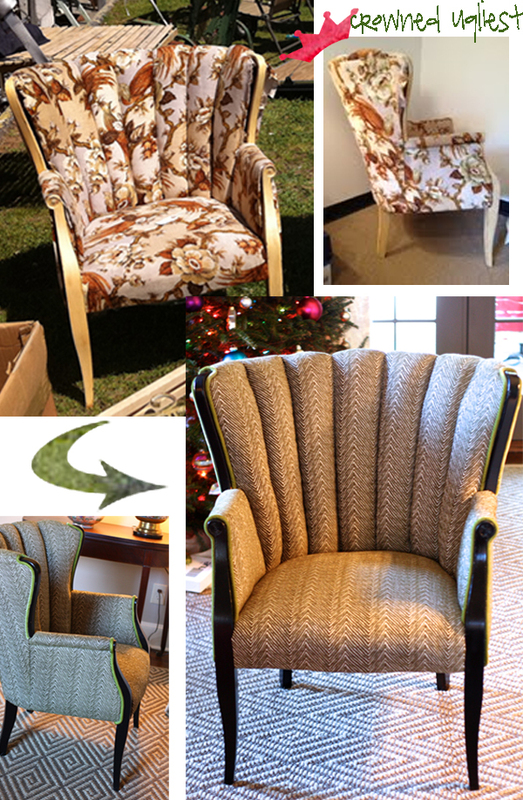 Made New: 1st chair- recovered in a Sanderson check; 2nd chair- seat recovered in Hable Construction print through Hickory Chair ; both frames untouched. If you've been in my office over the past year you may have seen this next beauty (and a few other ugly ducklings) sitting in the corner. It's funny because I've watched everyone do a double take as they spy it on their way out the door. They raise their eyebrows and look back at me with skepticism. Pfft-interior designer. 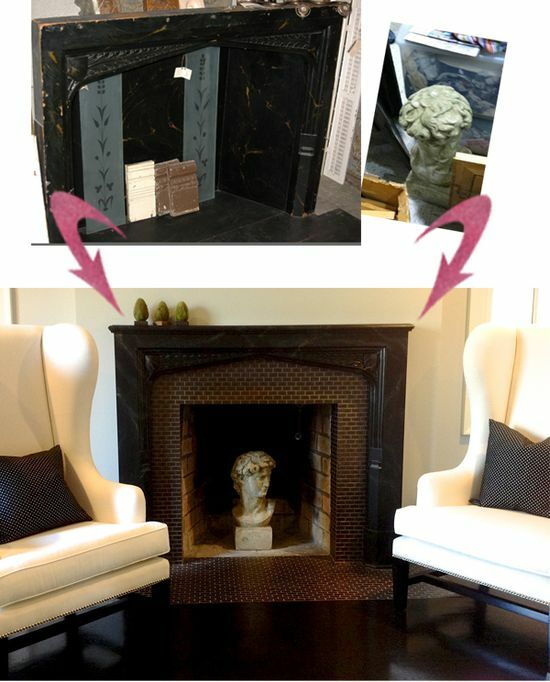 My client found this old fireplace surround at Preservation Station. Like most old pieces this required a lot of extra work and dedication (building around it, refinishing, etc.) But I'm so glad we stuck with it because it is perfect in its new home. Made new: tile surround in Ann Sack's metallic Savoy tiles; accessorized with a bust I found at Scotts.